An elevated Sangar comprising of scaffold and a stairway to platform level. 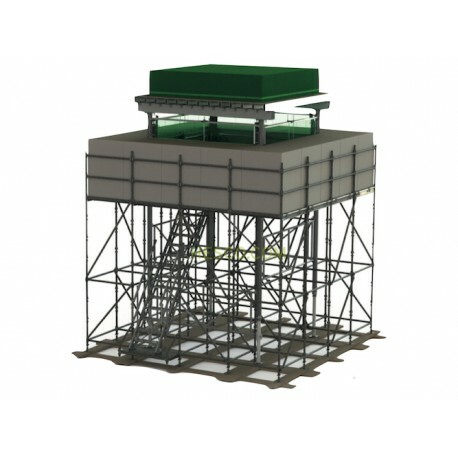 The elevated singers is built from HARSCO system components on a base width of 5.5 x 5.5m. 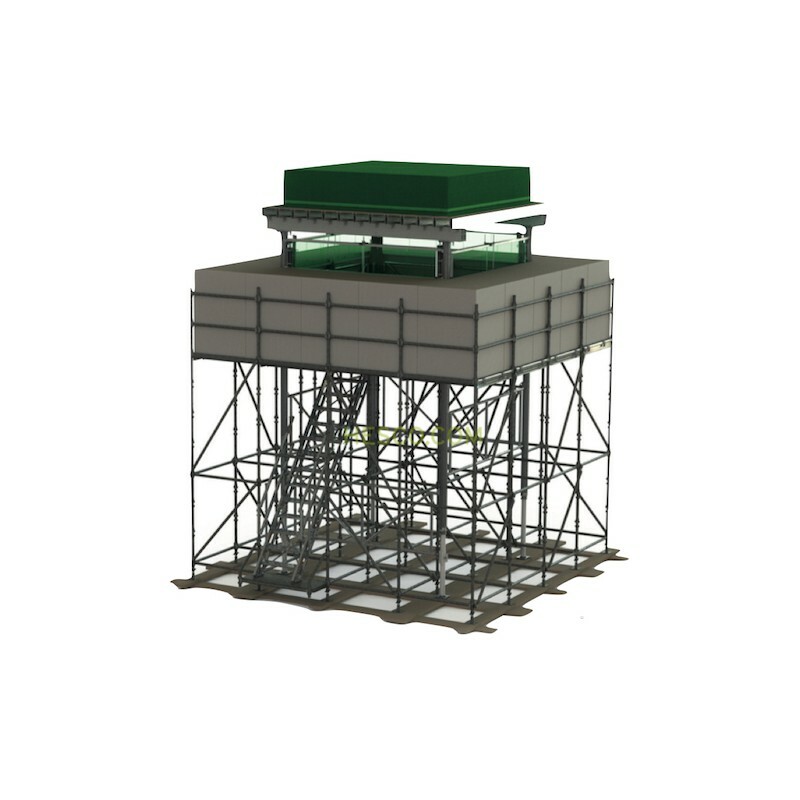 The elevated Sangar will provide the user with an overall height of 3.7m to the platform level of the structure. 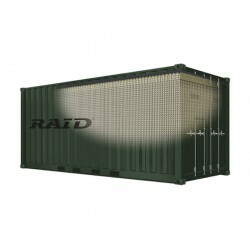 The Sangar occupants is offered protection form both blast and ballistic threats with the use of HESCO units. 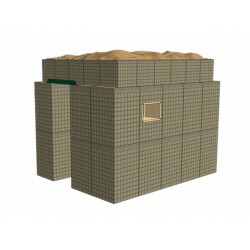 The HESCO protective units are a geo-textile lined unit for general use as an earth-filled barrier. 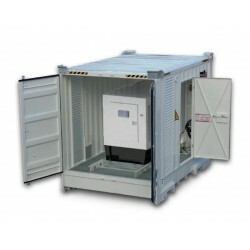 The units are suitable for filling with earth, sand, gravel, crushed rock and other granular materials. Geo-textile lined welded mash barrier coated to ASTM A 856. All wires conform to BS EN 10218-2:2012. Zinc-Aluminium coatings are to BS EN 10244-2:2009, where appropriate. 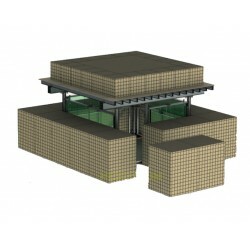 The geo-textile is a heavy-duty non-woven, permeable, polypropylene fabric, available in either beige or green color. Prices and delivery are on request, please contact us for more information and specialised offer.